Spring is here! The weather is finally getting warm (or, warmER, it has hardly been "cold" here in Austin!) and I couldn't be happier. I cannot wait to break out the sun dresses and frolic on the daily. The Austin bats are back! This picture is from mom's visit last weekend. 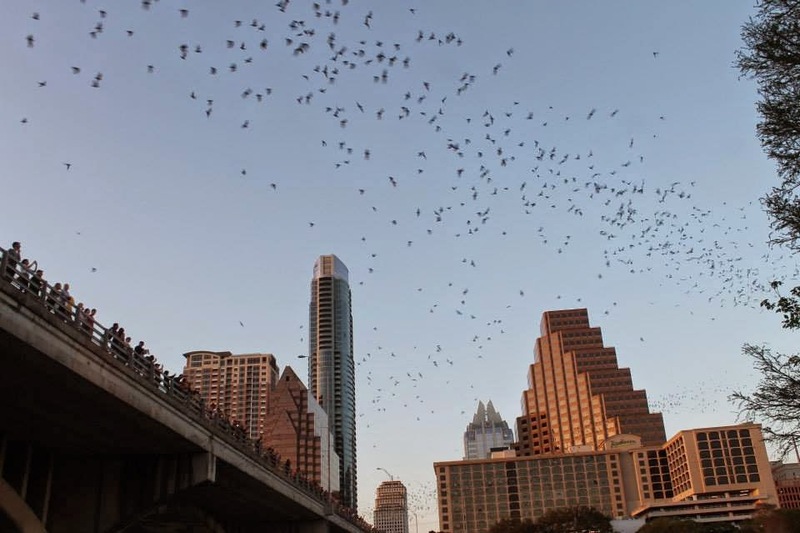 They aren't at full capacity yet--by late summer there are nearly 2 million bats under the South Congress bridge--but it's still pretty amazing to watch. 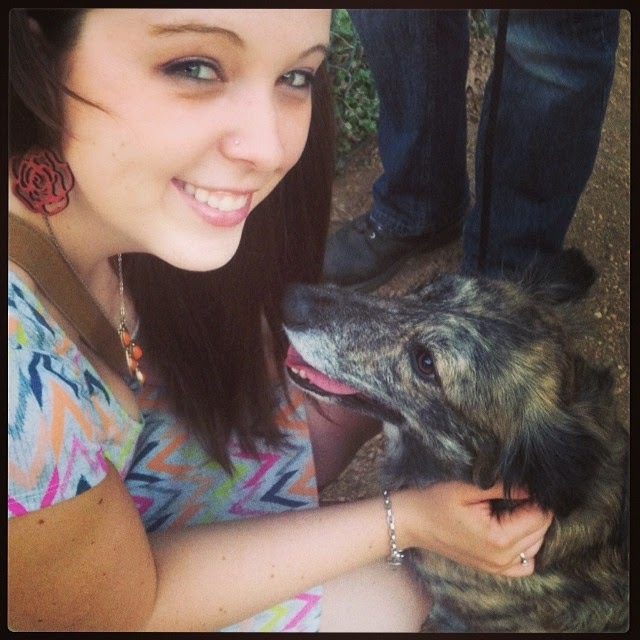 More outside time with Lily, my amazing little pooch. 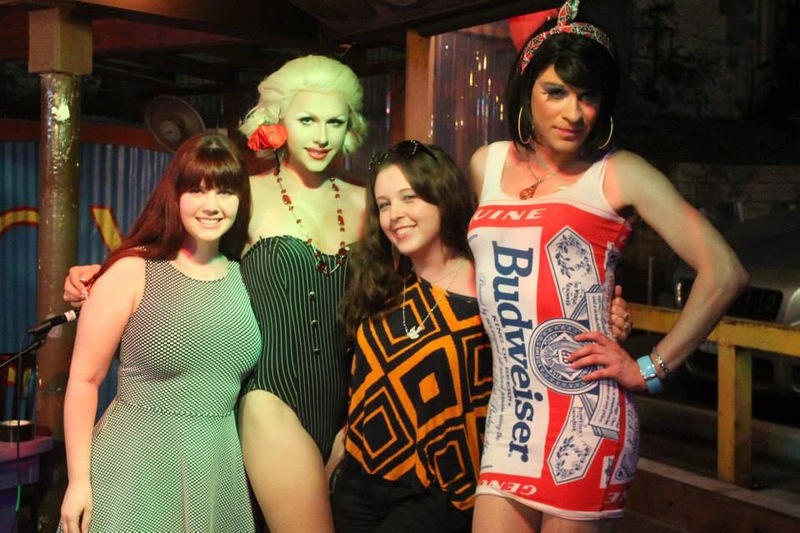 Big Boobie Bingo has returned to Maria's patio at Maria's Taco Express, and it remains my favorite local event. This was the night Lauren and I actually BOTH won prizes! 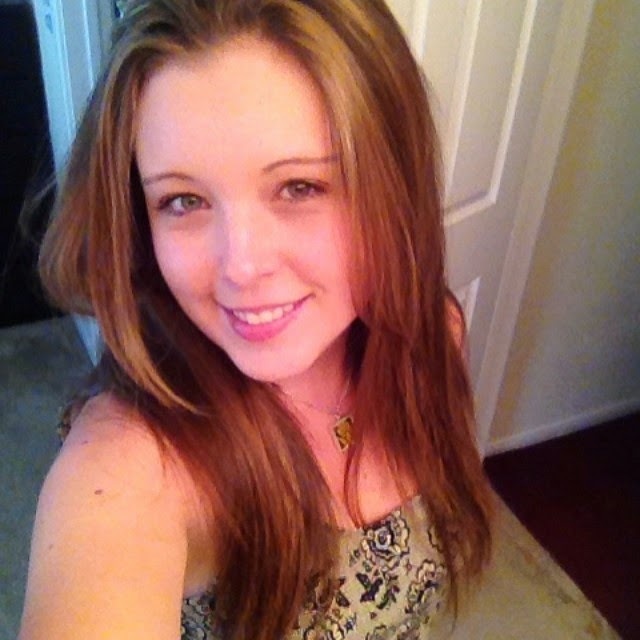 Finally, my hair needed a bit of a springy change, so I bought a highlighting kit and went to town. I LOVE the way it came out, and it was only $6 for Revlon Frost & Glow! I highly recommend it if you want to lighten up your color a bit but don't have the money for a salon. Anyway, enough of my Springtime love, onto the recipe. 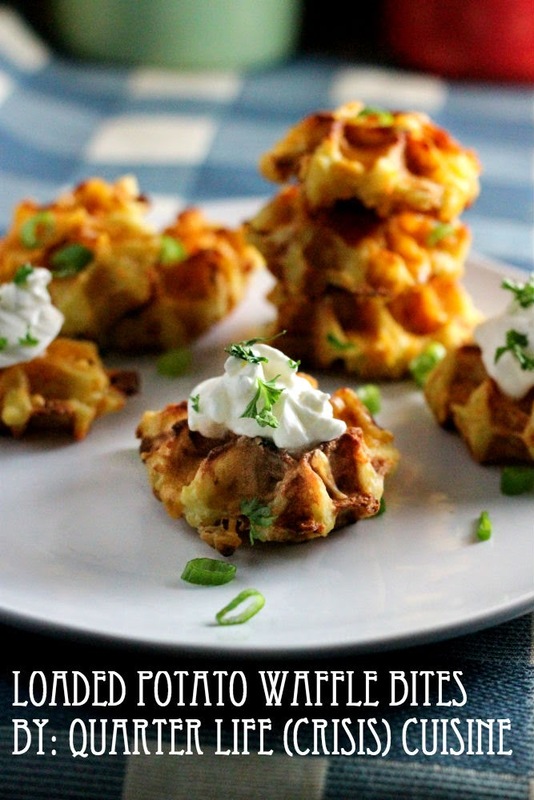 These waffle things are all over Pinterest. I know. But they were too good NOT to try myself. And the pictures came out decent, so on the off chance someone hasn't tried these yet and needs some MORE convincing, here. Let me try to convince you. 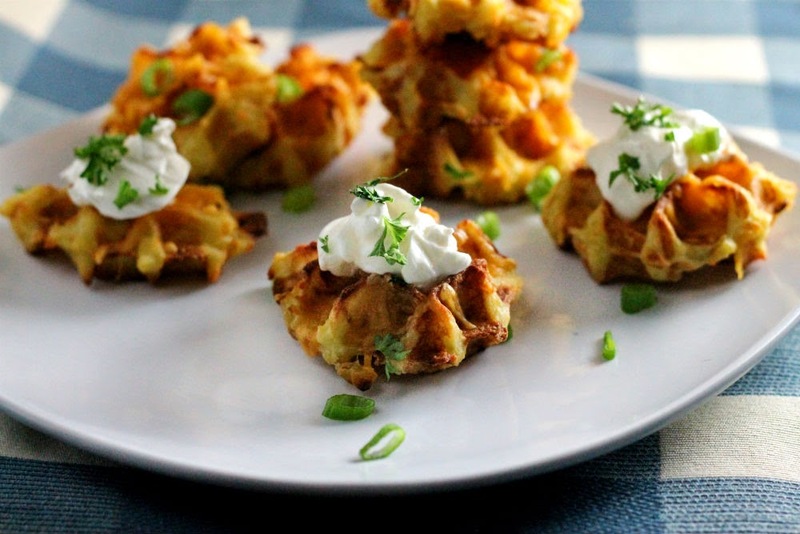 Tiny, crispy potato waffles, with melted cheese, sour cream, bacon, and chives. Delicious. The perfect party app. Then I got cocky--If I could do this with regular potatos, IMAGINE what sweet potatoes would be like! I started fantasizing about the paleo-friendly treats I would soon create. ...Sweet potatoes = messy waffle iron, and burnt mush. Oh well. Can't win them all. 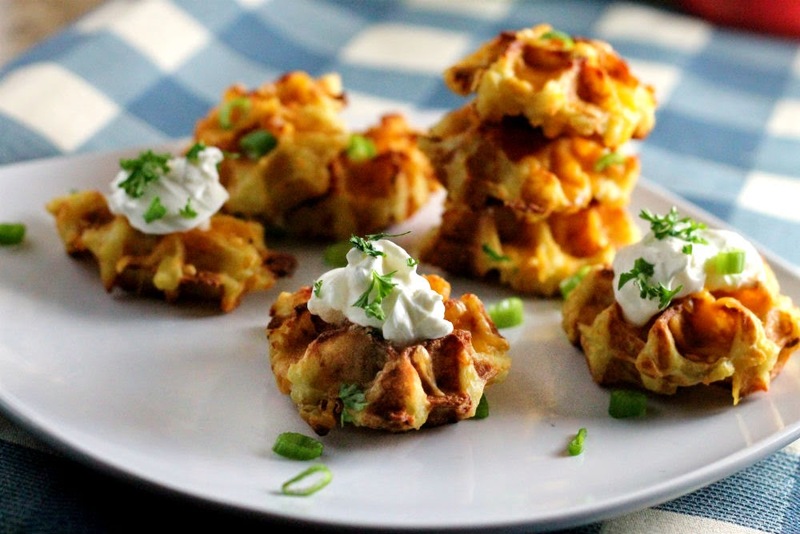 -Preheat oven to 350, and warm up your waffle iron to high. -In a small dish, mis together the mashed potatoes, garlic, and egg until well combined. -Drop by the over-flowing spoonful (ideally, a couple tablespoons) into the waffle iron. -Cook on high until browned on both sides. -Place on a cookie sheet, sprinkle with cheese and bacon. Bake for 5 minutes, or until cheese is melty. -Top with sour cream and chives, serve. Note: While I was inspired by a Pinterest post I cannot find at the moment, I threw together this recipe from my own brain. Any resemblance to another recipe is totally accidental. Deviled Easter Eggs - Perfect for #EasterWeek!